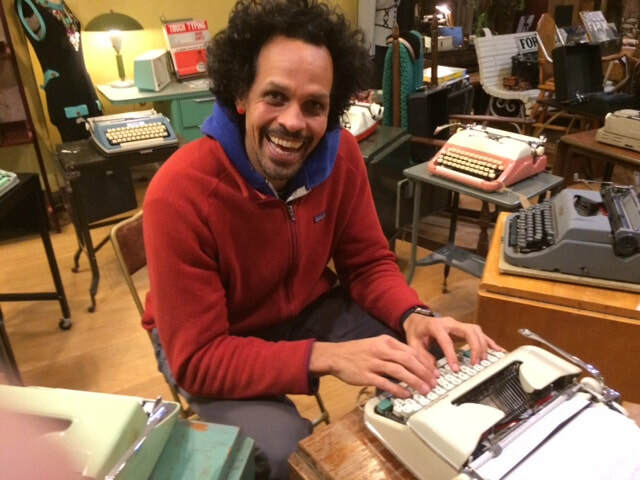 Ross Gay, the poet and professor at Indiana University, settled on two typewriters for his collection after wheeling around our typewriter circle several times. 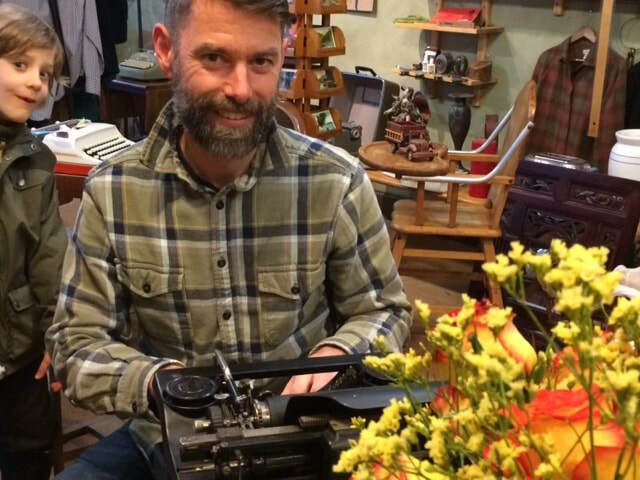 ​ He is the author of Catalog of Unabashed Gratitude, winner of the Kingsley Tufts Award and a finalist for National Book Award and the National Book Critics Circle Award forBringing the Shovel Down. "I want to realize joy as a fundamental aspect of our lives and practice. It is a discipline." “I was older than most of the kids in my typing class in Stony Brook, but I’d resolved to learn the skill before starting college. And a good thing! Right before typing tests, the boys in the class would pull the caps with the letters from the strikers on the keyboard and switch the placement of the letters, to confuse everyone! Or they’d fling them around the room. The teacher, Mrs. Gibson, had no idea.” -- Judy Schenk, visiting from Charlottesville. "When I was in 10th grade, the rule was that we were allowed no more than three typing mistakes on a page," recalled James Perry Wynn during his visit here. "The Christian Brothers taught my English and typing classes. At West Philadelphia Catholic Boys School, we were allowed to use Liquid Paper White Out to cover the typing errors." "The first White Out? OK. Tension would rise with the second White Out. The third mistake meant that tension would rise as you would have to start from scratch if you made another mistake." "Kids today cut and paste, and run through the grammar check." ​“It forces you to slow down. You have to attend to each word, even each letter,” Jordan Guy-Mozenter mused. Jordan is the grandson of Dorothy Guy, one of the pioneers of Weavers Way Co-op and mother of five. 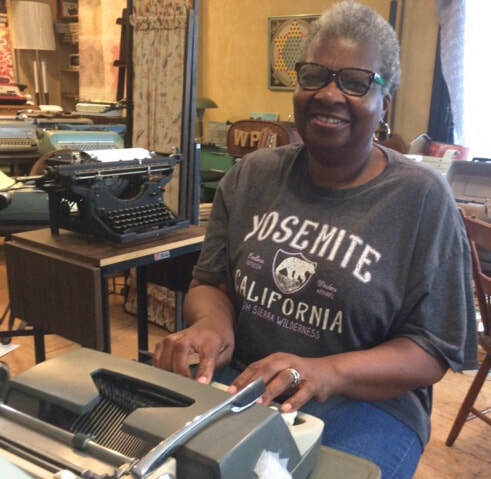 Jordan informed us that she worked as an IBM Selectric typewriter mechanic, carrying her toolbox from one business to another in Center City. Now they were falling in love. This was seven years ago. Lori was 42, Steve 56. A former English teacher, Lori is a celebrated tango dance teacher. Steve had already made a mark as a civil rights lawyer devoted to prisoner rights. Lori describes her fascination with dance as akin to writing – a narrative in motion. 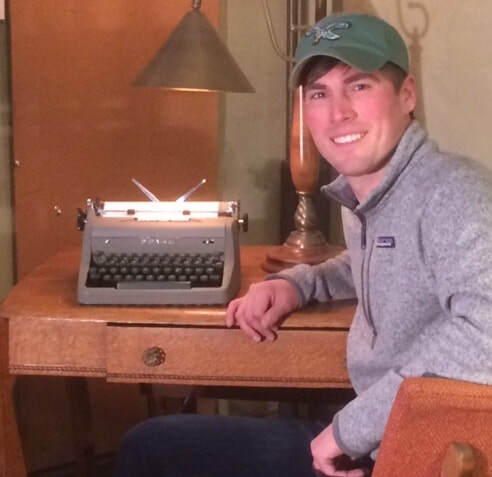 He describes his past with humor, beginning with the trouble he got into for changing the margins on his mother’s typewriter. And publishing underground newspapers in high school in Milwaukee. Law school eventually followed. Today, they share a home in Media. Their idea of Date Night is to pour some wine, then each sits at a typewriter, writing a message, story, thought or letter. After a while, they switch seats and continue the other’s thoughts. They switch back and forth as the evening wanes. “It often becomes sappy love notes,” Lori says. 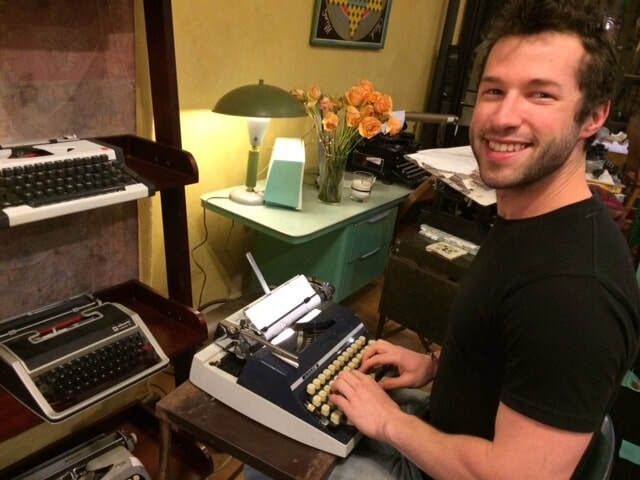 When they brought their typewriters in for TLC, we promised to have them back in time for Valentines Day. 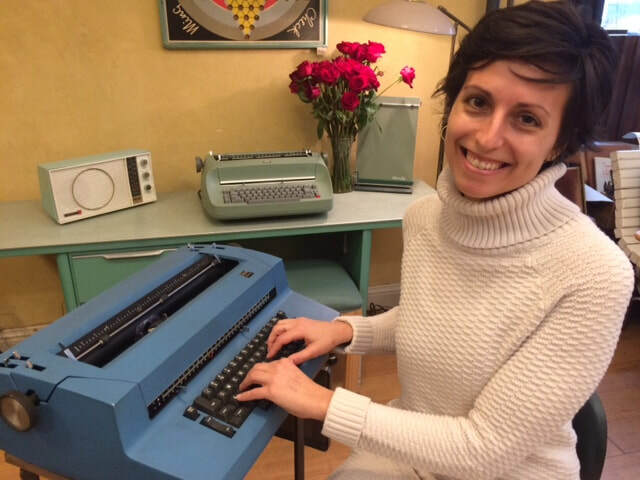 Gabby Linsalata allowed us to excerpt from her free associations, gleaned from notes on the Tower typewriter she has been trying out: “…soon we will meet again with the death of net neutrality, no wifi means the rebirth of me [a typewriter]”. 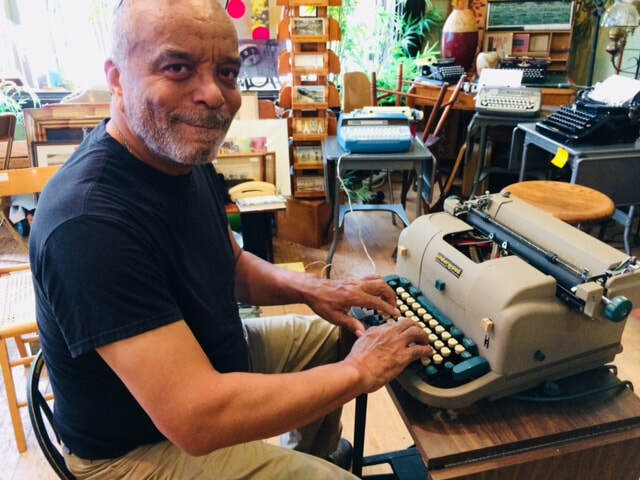 “The first time I wrote on a typewriter, I realized that I had to stop and think about every character that is coming down because it cannot be changed,” he said. “That alters how you write. It affects how you speak too: A lot of people speak the way they write. “You have to think before you typewrite. It trains you to think before you speak too. 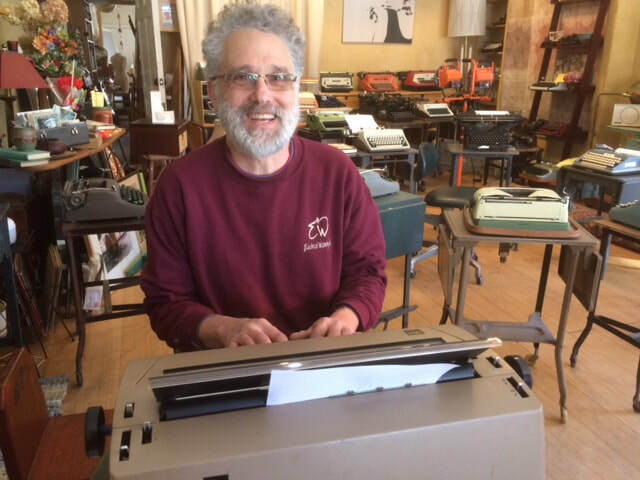 “In high school in Trenton, I took a business course and fell in love with typing. 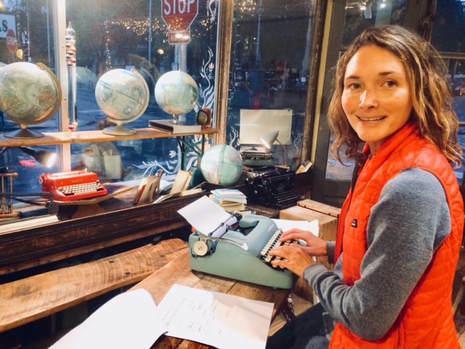 My mother couldn’t afford to buy a typewriter so she asked a downtown jewelry store that had a few in their window if she could buy it ‘on time’. The owner agreed. She brought home a Royal portable! And for weeks, after work, she got off the bus on her way home and paid $3. "There weren’t many boys in that business class, but there was one, and he brought over his portable typewriter. We put them both on the dining table and had speed drills for fun. Before I graduated, I worked part time as a key puncher. And for 25 years, I had one job or another in the banking field." "I loved the sound, too.” – Yvonne Jenkins, our Mt. Airy Neighbor. Lee Katzenbach has been showing playful sculpture and drawings in our studio since the beginning of the year. “I was a webmaster for 8 years. I know about fonts and video fatigue and all the costs of working at a computer. 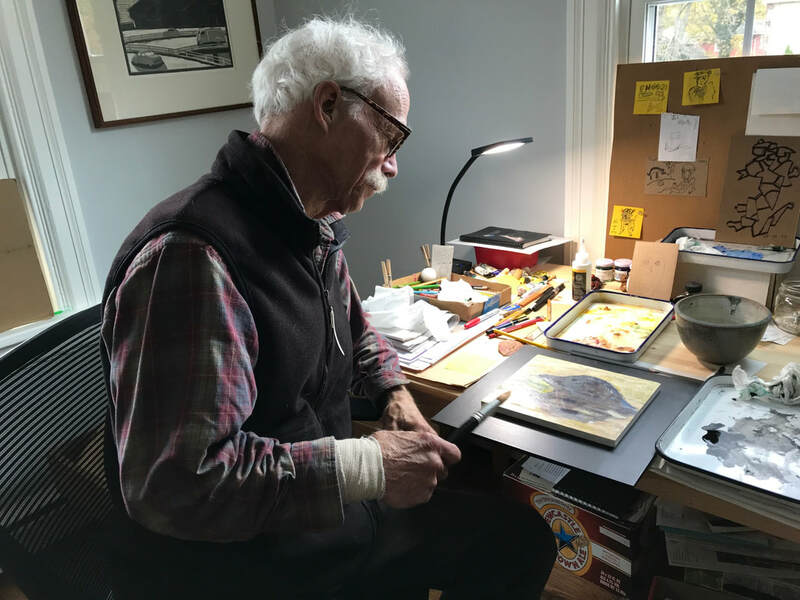 “My grandfather bought monotype off the back of a horse and carriage as it went down the street in Baltimore. His Monotype Composition Company became very successful. They published all kinds of books. I have ‘font’ in my blood. 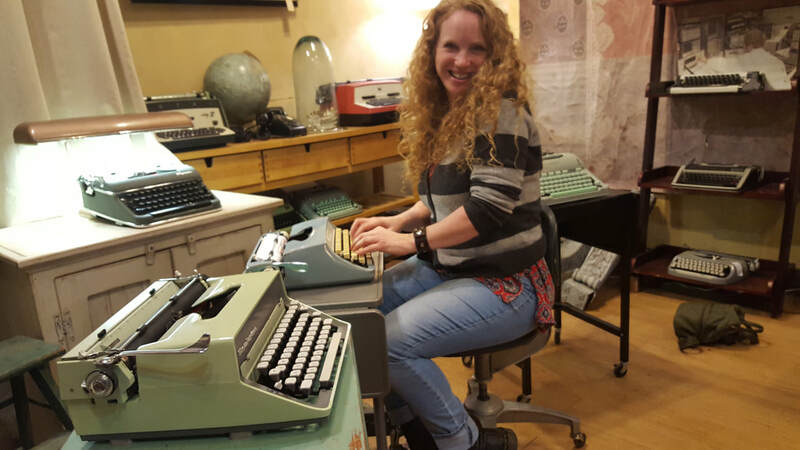 Kristy isn’t the first to drop by our studio to use a “free range” typewriter to file those final papers. 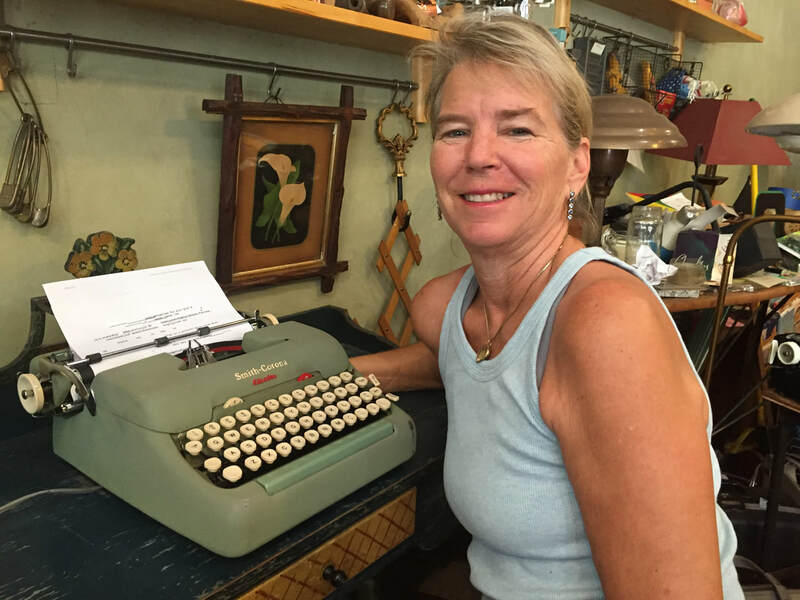 “A woman brought a typewriter in for repair. 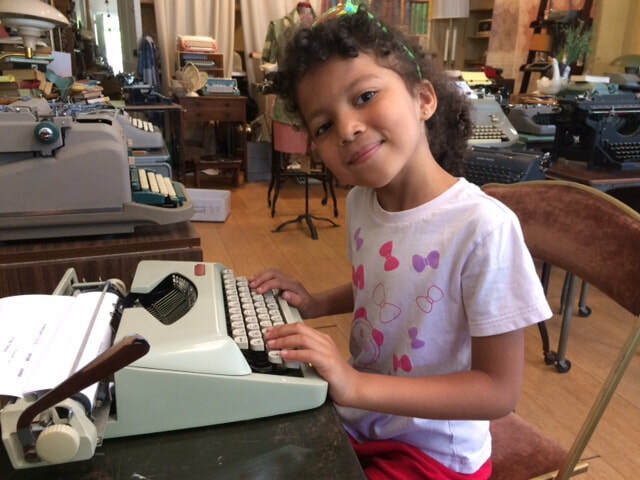 She watched when the typewriter mechanic got out his equipment, found the screw driver, opened the typewriter and turned a screw. “‘That will be $25,’” he told her. “But it only took you three minutes!” she said. John owns Electrical Wizardry Inc.
“On the heels of returning from London, I turned 29.
was simply happy. But still jet lagged, I ​was soon ready to go home. 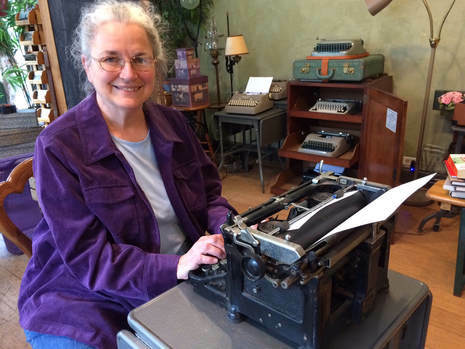 "My mother, however, really first wanted to go to the typewriter shop across the street. I told her that I’d already been there in the past, more than once. She persisted, so we went inside. 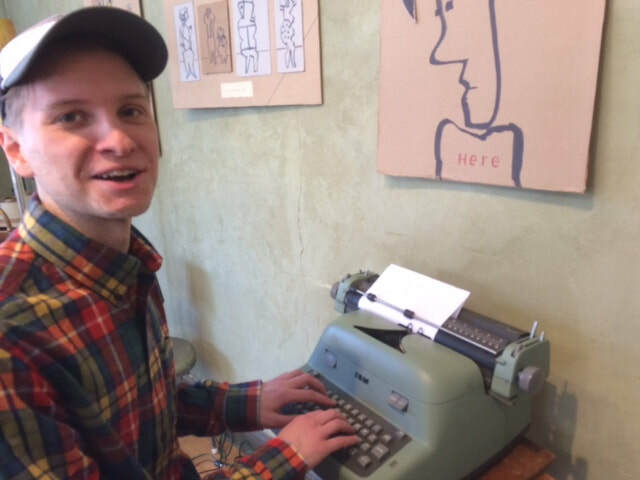 I called her attention to a pistachio green typewriter that I especially liked." “ ‘Look,’ she said. ‘Someone typed something on that typewriter!’ I read it: HAPPY BIRTHDAY, BRITTANY. LOVE MOM. 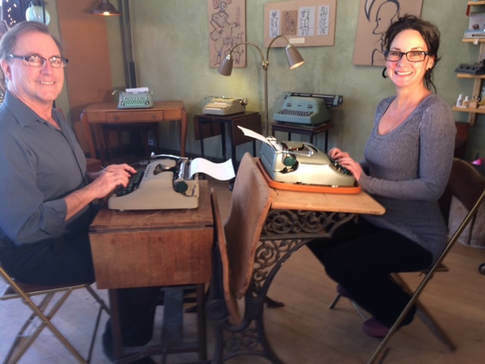 We laughed and chatted--until my mother realized that I thought the gift was the note, not the typewriter." Bill Parker brought his sons by the shop this week to try out the machines he knew so well as a teenager. His father owned Maine Surgical Supplies when he bought a company that serviced business machines. 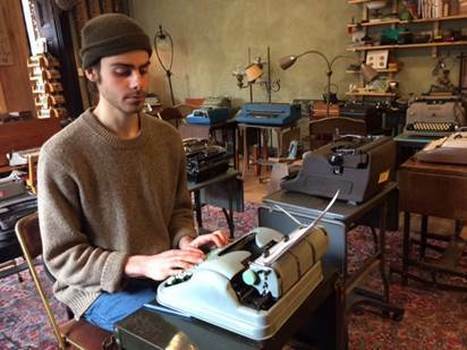 Come summers, Bill and a friend would drive to schools around the State, cleaning typewriters. They used Freon (!) 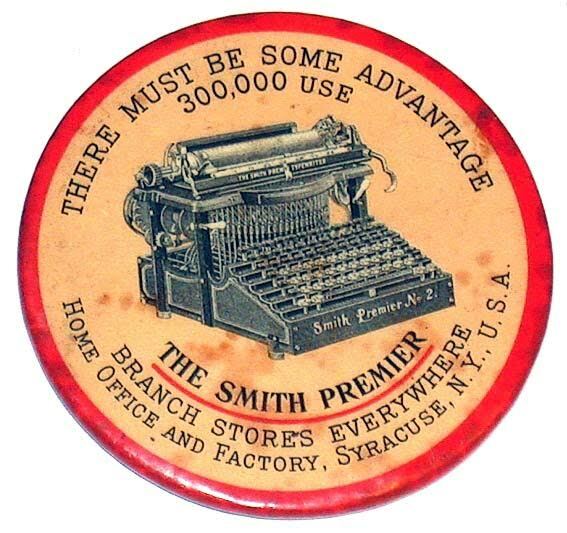 and alcohol to clean 40 to 50 typewriters in any given classroom. The vintage ephemera that readers may notice in the background was on display during our annual December Artisans' Week. which for 76 of its years could boast the largest evening circulation of any American newspaper. Actually, no one boasted at the Bulletin. This was Philadelphia! As its publisher, William L. McLean, said: "The Bulletin operates on a principle which in the long run is unbeatable. This is that it enters the reader's home as a guest. Therefore, it should behave as a guest, telling the news rather than shouting it." As Time magazine later noted: "In its news columns, the Bulletin was solid if unspectacular. Local affairs were covered extensively, but politely. Muckraking was frowned upon." And Elinor could be counted on to answer your polite questions. 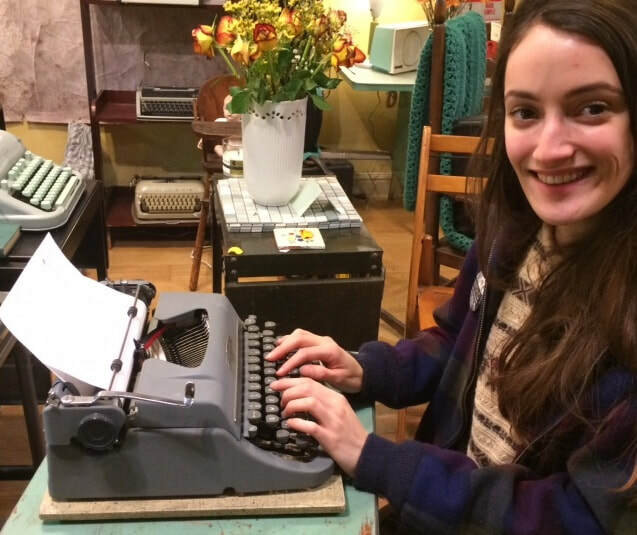 Molly brought Elinor's Underwood Standard 11 in this week, for cleaning and repair. As for the Philadelphia politesse, well, come by and typewrite, friends. 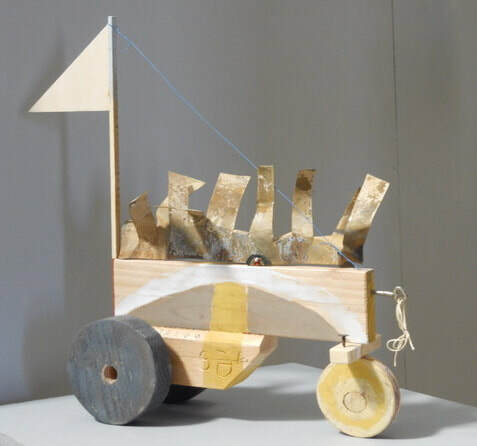 Last year, he worked for the Cambridge Innovation Center in Massachusetts, a start-up incubator. “They build out floors and rent space to other businesses. There were 600 people, encompassing many businesses under our umbrella. Most people don’t know each other.